We are a group made up of individuals from diverse backgrounds, including volunteers, former inmates, and currently incarcerated inmates. 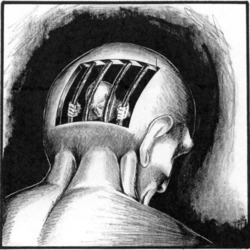 Many of our members are inmates serving life sentences, several of our group members have been incarcerated for more than a quarter century and two have been incarcerated for more than forty years (each). We have accumulated over 300 years of incarceration in Canadian penitentiaries. Recently we read an article about the call for a National Prison Strike (America). While our countries may not be the same and the names of the draconian laws and policies are different; the results are the same. The prison industrial complex exists to make money off and from the needless suffering of human beings. While conditions in most Canadian prisons seems to be, if not better, shall we say different than in America? We have much in common. We too are over incarcerated, overcrowded, over worked, underpaid, under fed, under educated. We too suffer undue delays of parole hearings. We too are separated from our loved ones. We too suffer poor healthcare (in Canada, a country with *free* universal healthcare) and we too are tired of being subjected to the abuses of callous and masochistic staff. Up until a few years ago, our system was much better than it is now. Then we had our own Donald Trump moment; our was not a former reality TV star, ours was a right wing religious nut case named Steven Harper. He made sweeping “prison reforms” such as cutting inmate pay in half, cutting most rehabilitation programs, and cutting many other services, especially those designed for lifers. He even cut most of the chaplaincy staff, and then outsourced the remaining chaplaincy to another country (America). Recently, a decision was made in Orlando, Florida to cut the number of chaplains in a Canadian prison. A full time chaplain lost his position, for which he was only being paid 4 hours a week; and no reason was even given. Luckily, after some outside pressure, that particular decision was reversed. All in all, our Trump-lite, Steven Harper, introduced a huge piece of legislation he named Safer Streets and Communities. Everyone else commonly referred to it as the omnibus crime bill. In this lovely bit of legislation, he rolled the Canadian prison system back at least 50 years. He had plans to go even further; he wanted to revoke our right to vote. Yes, convicted felons in Canada can still vote, even while still incarcerated, even lifers. But, Harper wanted to take away that right! Harper also wanted to introduce a life means life (no change for parole) policy and at one point he talked about making all sentences indefinite sentences (life); meaning that you would only get out (even for minor offenses) when the powers that be say you are reformed. Which, in most cases, would be never! Thankfully he was defeated before he could implement those particular heinous policies. The current government made a lot of promises for change, but have actually done very little. I guess we have to be thankful that at least they haven’t made things any worse. We the inmates in Canadian prisons offer you our support, our solidarity, and our prayers; we hope that your demands will be met and that your conditions will improve. No human beings should be kept in cages and treated worse than animals; in fact, if animals were treated like prisoners, PETA would go off! The practice of making money from the suffering of other human beings (prisoners) must stop! All incarcerated and detained men and women are entitled to respect, dignity, humane treatment, proper healthcare, and access to rehabilitation programs and release from prison.